[Bangkok, Thailand] After You had and has continued to be one of Bangkok’s hottest dessert café with its inventive take on shibuya toasts and cakes. Perhaps ‘inventive’ is too strong a word, but you do keep seeing novel and photogenic items at their shops. 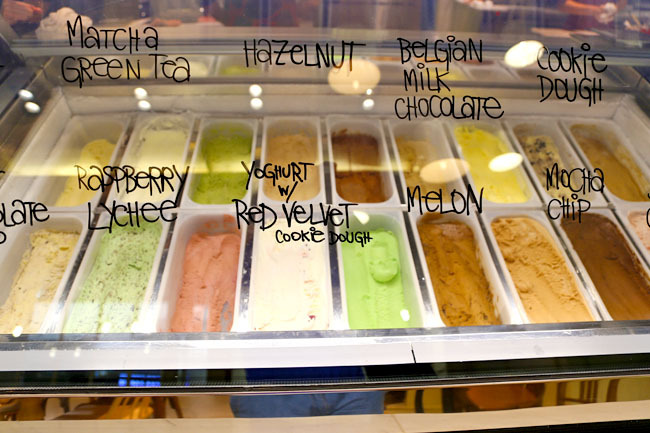 So strange that Crumb by After You, a sister brand which dishes out luscious flavours of ice cream from Caramel Popcorn, Firecracker (chocolate chilli), Matcha Candy Bar, Red Velvet Crumble, Black Forest, Cookie Monster, Triple C (crumb, caramel, cheesecake) happened to be rather quiet. 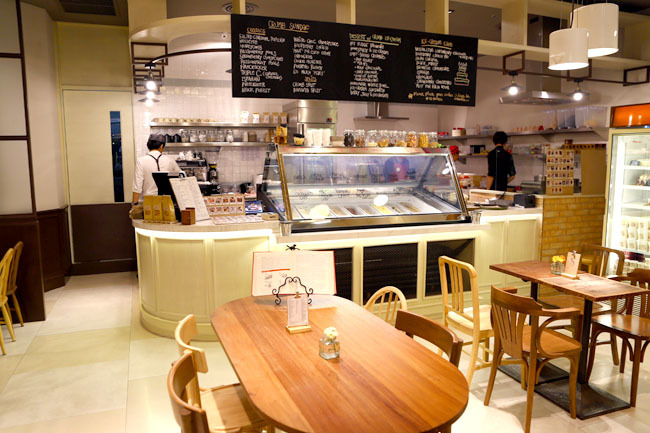 Perhaps it is because it is at the extremely high-end Central Embassy, or prices of the ice cream were not exactly cheap at 125 – 155 baht (SGD$5.20 – $6.50) for a standard size. I took the signature flavour, the Caramel Popcorn (155 baht) which took about 15 minutes to prepare, arriving in a size smaller than my palm. Actually, good for petite size ladies which would be watching their portions. Verdict? The toast retained After You’s usual standard – sugar-coated, crispy and soft fluffy texture, despite being small. But overall the toast was just too sweet. 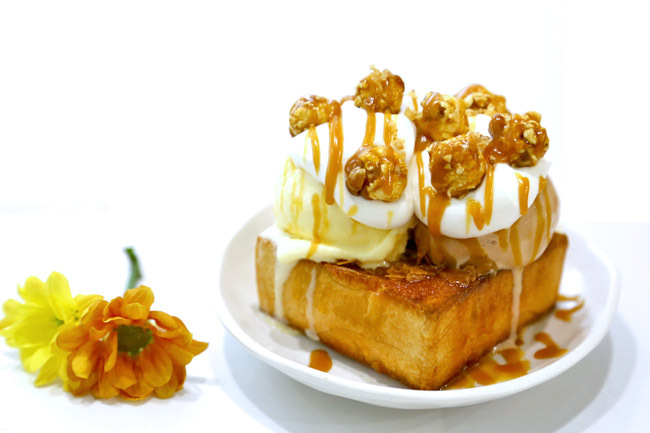 The toast itself was already honeyed, the very rich ice cream plus caramel pop corn on top didn’t help. 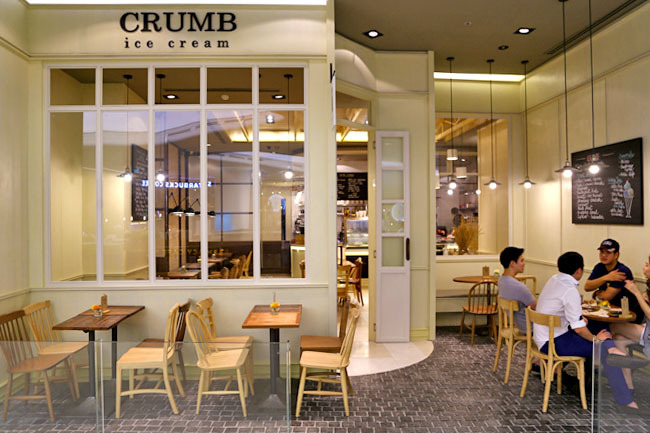 May Kanokwatanawan’s After You may have shot to instant fame, but Crumbs may need some fine-tuning to get more in-line with the masses. Oh wow! Their ice cream flavors are plentiful! Wow this is so tempting! Can’t wait to taste it! My sweet tooth is always craving for something new. These homemade ice cream and sundae are on top of my list. You didn’t publish the number of their branch close to my place so I guess I need to find a dessert delivery Hong Kong that offer something like this to satisfy my craving.